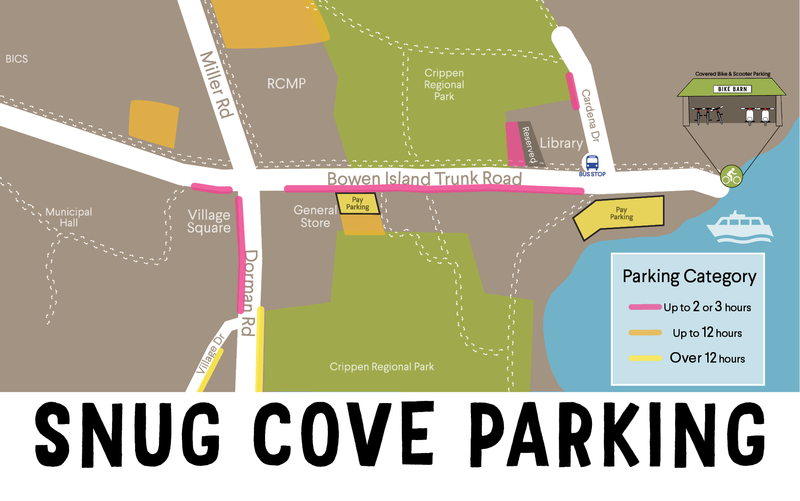 The map below shows the public and pay parking options in Snug Cove. 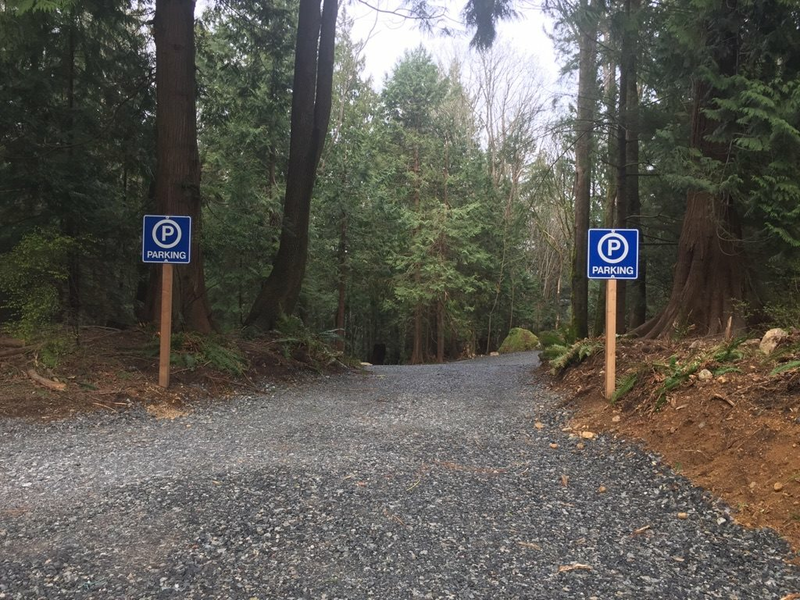 Two free parking lots (Miller Road and Senior Road) are available to park up to 12 hours, both are a five minute walk to the ferry and three minutes from Snug Cove amenities. The Miller Road lot has direct access to the trails so you can enjoy a few minutes of Bowen nature as you begin or end your commute. Council approved the plan for this new lot on February 14, 2017. On the West side? Try Park & Ride! 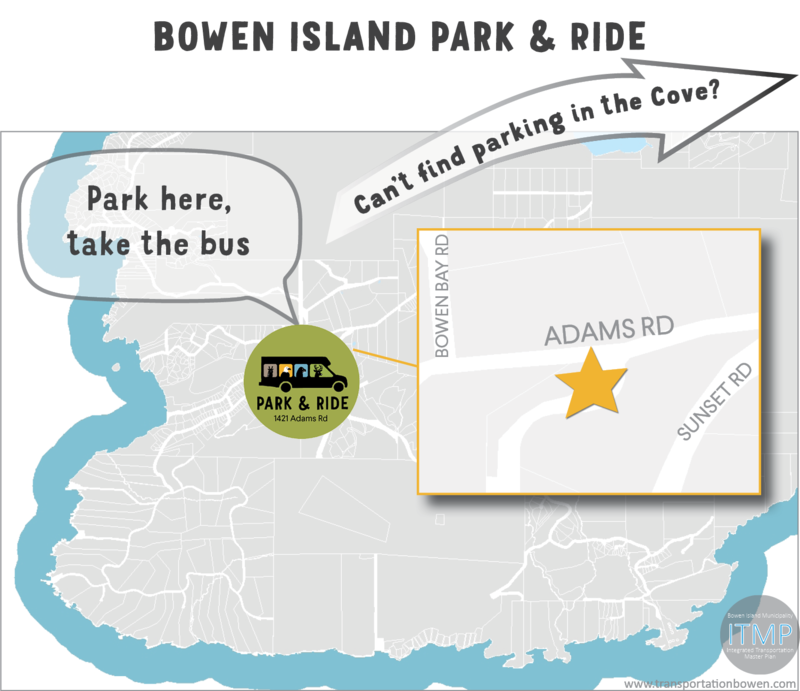 If you don’t want to spend your time looking for parking in the Cove, you can park for free at the Park & Ride at 1421 Adams Road (Satellite Fire Hall) and take the C10 Bluewater-Snug Cove bus to meet the ferry. Use your Compass card to tap on and you can transfer to a bus in Horseshoe Bay on a single fare. We are currently collaborating with TransLink to have a bus stop number installed at the Park & Ride where you can access TransLink’s Next Bus tool. TransLink announced service improvements in 2017, including the extension of service on the Bowen Island community shuttle routes to 8:00 pm to meet the arrival of the 7:30 pm ferry in Snug Cove.